Learning to Eat Allergy-Free: Which Cookbook Should I Buy? Which Cookbook Should I Buy? It’s a question I never dreamed I’d have to answer, but one that has come up frequently as I’ve talked to people at recent signing events. When someone is standing in front of me holding a copy each of Learning to Bake Allergen-Free and The Allergy-Free Pantry, and asks which they should purchase, I stumble and trip over my response. Asking me that question is akin to asking me which of my children is my favorite. Of course I love them both equally, but they are different. The same is true with my books. Both books contain explanations of ingredients, tools, and techniques. 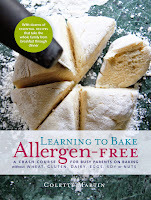 You will find sections on replacing wheat, replacing dairy, and replacing eggs in each book (with a little more detail in Learning to Bake Allergen-Free). Both books are more than just the recipes. They are meant to be read and referred to. I care less about whether you make my recipes than whether you learn something from the techniques and substitutions I show you, so that you feel empowered to make whatever you want with the ingredients available to you! 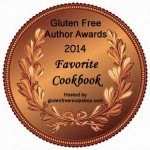 Both books contain recipes that are free of the top 8 food allergens and gluten. Both books contain suggestions for further substitutions, because one size doesn’t fit all when it comes to food allergies. Learning to Bake Allergen-Free is all about baking (and only baking), from simple to more difficult. The book does not assume any prior baking experience and explains even simple techniques. So many of us who are baking to accommodate food allergies are doing so because we have to, yet we have limited time and a variety of skill. 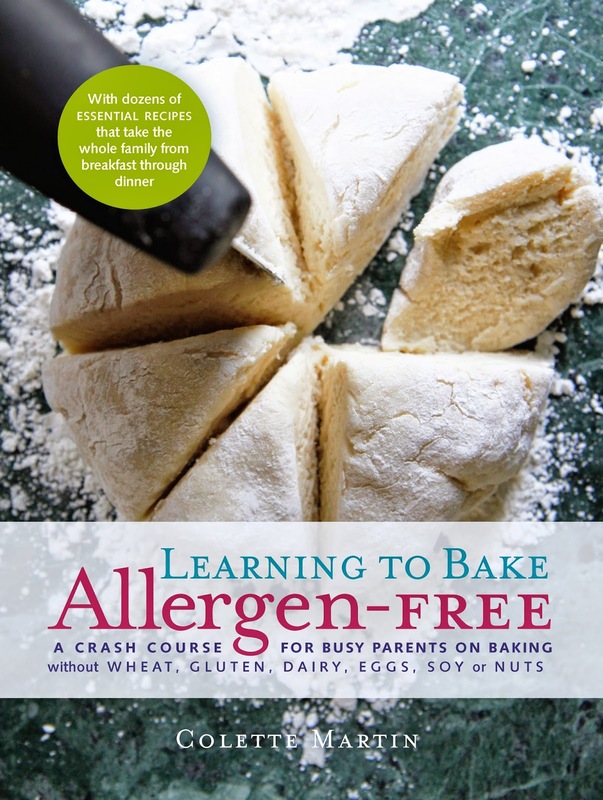 Learning to Bake Allergen-Free is perfect for those baking for the first time or for traditional bakers who need to learn new ingredients and techniques. The book contains “crash courses,” which are often cited as the most valuable content in the book. Many people (including teens) have told me that they have learned how to bake using this book. 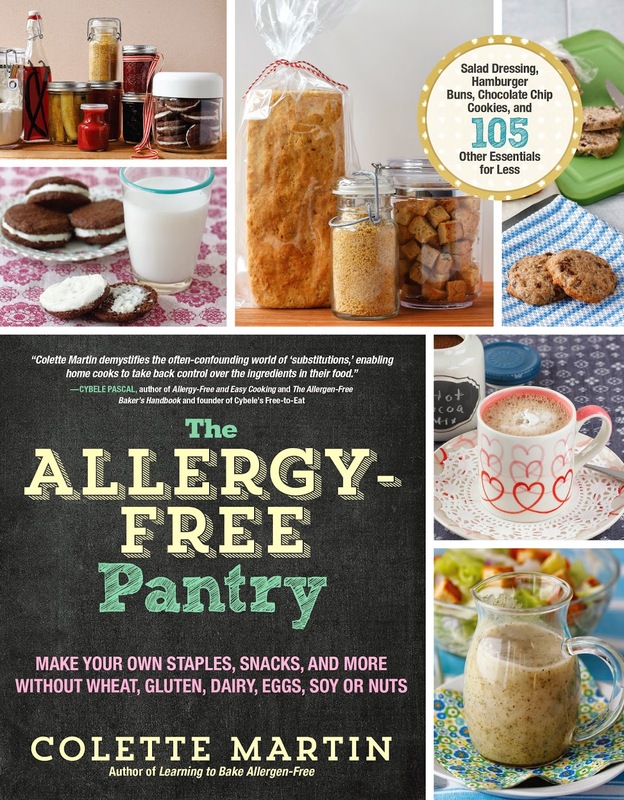 The Allergy-Free Pantry goes beyond baking, including recipes for everything you need to stock your pantry to replace the processed foods you used to buy at the grocery store. You will find recipes for condiments, jams, and salad dressings, as well as options for breakfast, lunch, and dinner, AND some baking recipes too! When I first pitched this book I described it as “Allergy-Free Homemade,” because it’s all about making food, safely, at home. 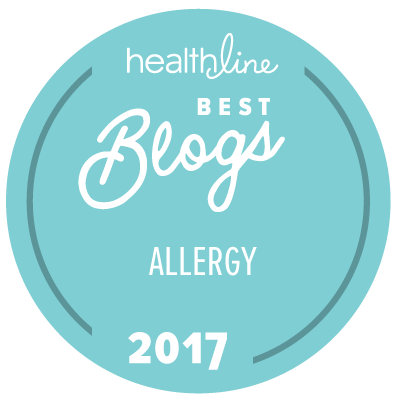 If you are tired of reading labels for packaged foods at the grocery store, or you have allergies beyond the top 8 (such as corn or rice) then The Allergy-Free Pantry just might be a necessity. If you are a visual learner you will appreciate the how-to photos in both books, but The Allergy-Free Pantry contains many more photos – one for every recipe! If you love muffin tins, parchment paper, and your stand mixer, choose Learning to Bake Allergen-Free. 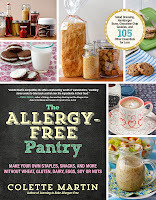 If you love cookie scoops, Ball jars, and your food processor, choose The Allergy-Free Pantry. If you really can’t decide, keep in mind that the two books work beautifully together and with other food allergy cookbooks in your library! Eat, Drink, and Be Merry with Udi’s Gluten Free!